it is a relatively economic solution and can be installed quickly and easily. the framework often provides quite wide spaces, such that levers or jacks can be inserted to widen the uprights just enough to allow a person to pass through, especially if they are slim. For this reason it is important to make sure you buy a precision made product in order to minimise possible problems. A potential weak spot is, as in all closing systems, the lock. If the gate is only to be opened from the inside, for example because it is mounted on a window or a French door, it is best to install the lock with the cylinder only facing inwards, as in this way it becomes very difficult to attack it from the outside. 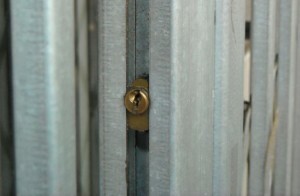 If, on the other hand, the gate is positioned on an entrance and it must therefore be possible to also open it from outside, the cylinder can be positioned inside the diamond pattern so that it is accessible from both sides but does not leave enough space for a drill, hammer or any other common break-in tool to be inserted. In this case, the Viro lock for retractable gates can prove useful; this is characterised by mushroom-shaped counterpins which act against the efforts of the burglar and by a special internal self-reinforcing closing mechanism. The system effectively counteracts any attempt to open the gate by forcing the rods inwards with a lever. The shape of the internal components is in fact designed to neutralise the vertical thrust on the dead-bolts. The dead-bolts are also attached to the rods with rivets, instead of screws, in order to prevent the rods from being easily unscrewed and removed. 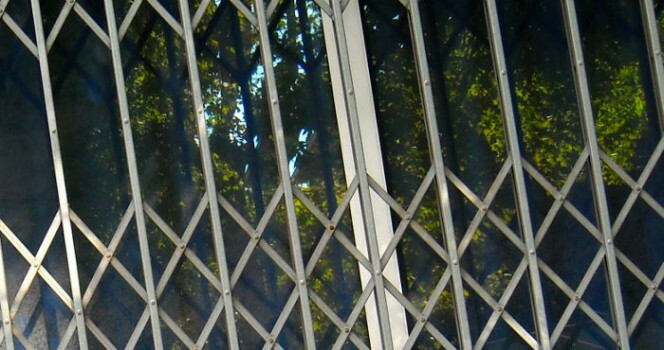 Retractable gates are generally mounted on all openings at risk, such as the windows and French doors of the lower floors or those which overlook balconies or which can be potentially reached by climbing up the façade or descending from the roof. It is therefore quite common for several gates and as many locks to be installed in a home. 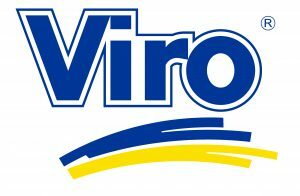 In this case it is very convenient to use a lock, such as a Viro one, which allows a system to be set up with equal keys, that is, with a common bitting of the locks that allows all the gates to be opened with a single key, thus avoiding the inconvenience of having to handle a large bunch of keys and having to find the right one each time. 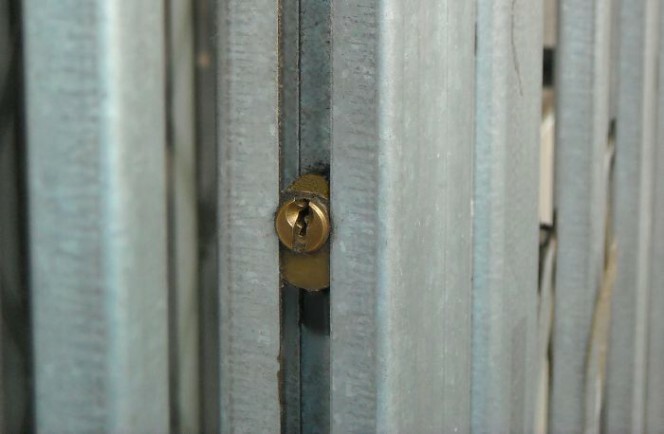 If the gates are installed in a shop/warehouse it can also be useful to use a master key system, so that one can differentiate the opening permits. Retractable gates are a solution which allows you to increase the level of security in a simple and economical manner. 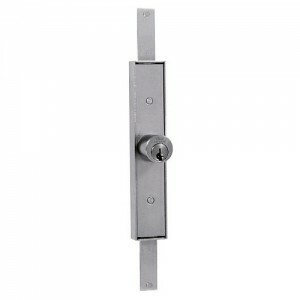 They can be made even more secure and easy to use by choosing suitable locks and keys. The technical features of locks for Viro retractable gates can be seen here.